BusinessofChrist.com is accepting submissions for guest blog posts. businessofChrist.com is looking for content that will be share in accordance with the Word of God. 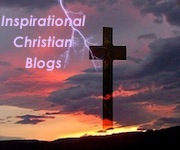 The goal is to publish at least two guest posts monthly on topics consistent with the Christian Faith. Articles should be >400 words. Content must be exclusively published on our blog (not on any other blog/site). You may attach images/videos to your articles (484×252). Along with your post, please submit a byline introducing yourself that can will appear at the bottom of your article. You may include up to 4 links to your website, blog, social media profiles. Send Email to BusinessofChrist@gmail.com with your blog posts in .doc or .pdf format along with your author bylines. Please allow 2-3 business days to review and approve your submissions. If approved, you will receive a notification email with the date in which your post will be published and shared on social media (including: Twitter, Facebook, and Google+). Look forward to your submissions!